In my book, Welcome to the Big Leagues, I mentioned a little about the glory days of attending graduate school at the University of San Francisco (USF), and how that experience has forever bettered my life. When I reflect on this period, a past nearly 15 years ago, many great things come to mind. I'm reminded of my ambition, as well as the eagerness I had to challenge myself, compete in the business world, and pursue personal growth. Success and new skills didn't come in an instant, but over the course of time the dedication and commitment led to heightened awareness, personal development and improved business sense. Having been provided with the tools and skills to accomplish greater goals, make stronger decisions, distinguish myself, and win in corporate America, I applied everything I learned into my daily practices at work. The teachings couldn't have landed on bigger ears, as I had recently entered the biotechnology industry after four years in consumer goods. This transition shifted my focus from managing skilled factory workers to guiding business units consisting of PhD and even a few MD scientists. There was no doubt that if I were ever to add significant value to the company's prized group of intellectual capital, I needed to up my game. One of the greatest resources or influences that helped me most, and extended many years beyond graduation, was afforded to me by professor Mike Middleton. Being about as dry and quirky as one would expect a brilliant and analytical mind to be, Middleton was in a class all of his own ... having lectured on advanced data analysis and decision modeling from only the books and software applications that he wrote and developed. Middleton's book Data Analysis Using Microsoft Excel became about as necessary to me as an iPhone is to a Millennial. The step-by-step instruction guide on business statistics provided me with all of the concepts and techniques needed to support and lead my colleagues in effective decision-making. From the very simple to the extremely complex, the analyses of probability distributions, sampling, quality control, regression, and seasonality allowed me to clearly articulate and present changes to forecasts, lot sizes, and ideas for process improvements with the credibility and degree of thoroughness my sophisticated colleagues required. Unfortunately, Mike retired from teaching at USF in 2008, but since the purpose of my blog is to help you, I am proudly providing the following information and introduction to Mike Middleton, as a resource that will surely benefit your career and performance similar to the way he did mine. On Middleton's website, Mike Middleton Dot Com, you fill find access to add-ins for Microsoft Excel to perform Decision Trees, Sensitivity Analyses, Monte Carlo Simulations, and much more. Mike does not plan to pursue an updated version of his decision analysis book, but much of the material that I used is available to you for free as PDF downloads by clicking here: Data Analysis Files. I strongly recommend taking the time to learn all of the concepts and tools found on Middleton's website. Better yet, hold a brown-bag lunch meeting with colleagues to practice working through different scenarios. They'll thank you later. Good luck. Mike Middleton is the primary software developer at TreePlan Software. His first decision analysis software project was completed in 1972 while he was a Ph.D. student at Stanford University, and he developed the first version of the TreePlan decision tree add-in for Excel in 1992. Mike is the author of four editions of the book Data Analysis Using Microsoft Excel, available from Amazon. 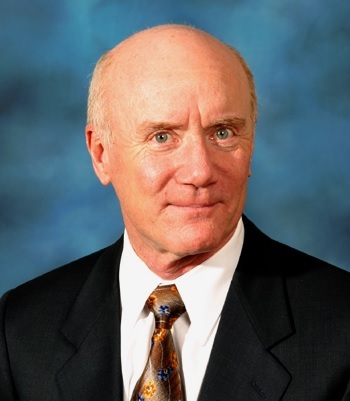 During 1977-2008 Mike Middleton was a full-time Professor in the School of Management, University of San Francisco, where he taught undergraduate, MBA, and Executive MBA courses in decision modeling and data analysis. I teach at UNLV. I put a lot of work into my teaching, and can only hope that in fifteen years, some of my students look back with fondness and appreciation. I have been an elementary school teacher for a number of years and have met my students all grown up and cannot recognize them at all and they thank me for what I did in their lives. Many of us were influenced by our educators to shape some part of our lives in one way or another. Thanks to all educators in various fields. Thanks for sharing your story .